I hope you are doing well. 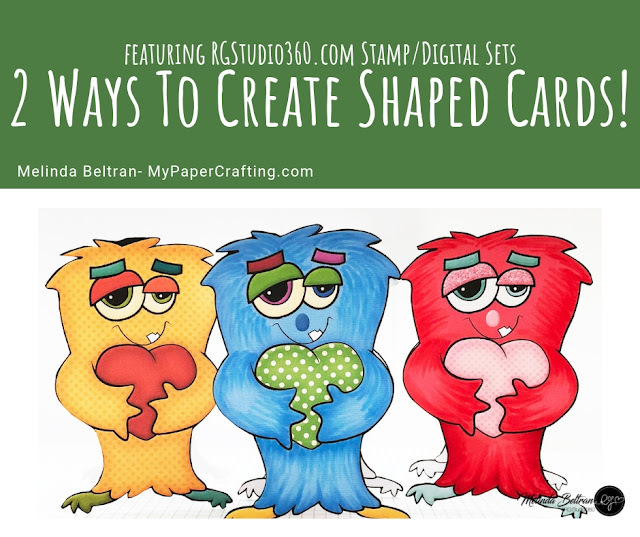 Today I am sharing a post and video on two ways to quickly and easily create some shaped cards! Both ways don't require you to have an electronic die cut machine! 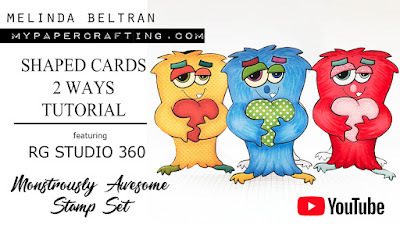 These three cards were made with the RGStudio360.com Monstrously Awesome stamp set. The physical stamp set purchase also includes the digital file, which is unique to the company! This means you get the BEST of BOTH WORLDS! You get the advantages of a physical stamp along with the digital image.